On Thursday, April 12th Hassam, a society for detainees and ex-detainees said negotiations that took place recently between Palestinian prisoners and the Israeli prisons’ administration to seek prisoners’ demands has failed. The failure of these negotiations was attributed to the unflinching obstinacy of the prisons’ administration towards prisoners’ demands. The representatives of the detainees in the southern prisons of Nafha, Ashkalon, Negev, Eshel and Rimon prisons sent a letter to Hussam explaining why they chose to cease negotiations. Prisoners confirmed that Israel’s intention was to mislead the public by showing its concern to achieve prisoners’ demands, but simultaneously procrastinating on decisions in order to circumvent the demands and dissuade prisoners from challenging the status quo. In the letter, prisoners cited that though they decided to cease negotiations with the administration, they have created an honor agreement with all the prisoners, hoping to unite their efforts and start a mass hunger strike protesting the actions of the administration. 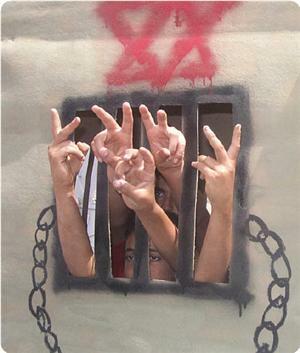 Prisoners of all Palestinian political factions as well as forces outside prisons began to sign a similar agreement to unite efforts. Palestinian prisoners called on the Palestinian people inside and outside Palestine to show solidarity, announcing that the hunger strike will begin on April 17th, which coincides Palestinian prisoner day.